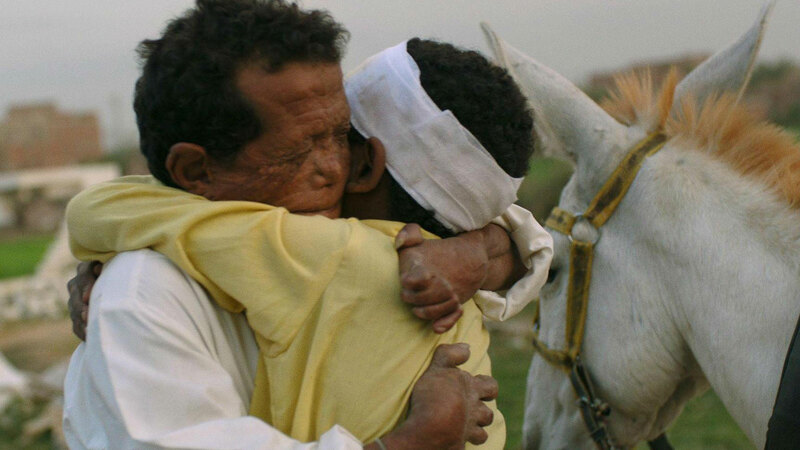 Beshay, a man cured of leprosy, has never left the leper colony in the Egyptian desert where he has lived since childhood. Following the death of his wife, he decides to go in search of his roots. With his meagre possessions strapped to a donkey cart, he sets out. Joined by Obama, the orphan he has taken under his wing, Beshay crosses Egypt and confronts the world with all its sorrows, hardships and moments of grace, in his quest for a family, a little humanity, and a place to belong.